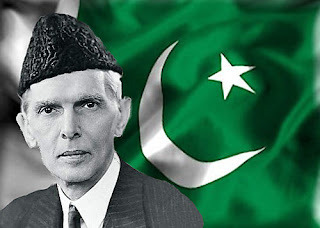 Uncategories Quaid E Azam Wanted Secular Or Islamic Pakistan? Those who say Quaid Azam Muhammad Ali Jinnah wanted to make a secular state, should also explain as to why the first department of the new government of Pakistan that Quaid created after securing independence was the Department of Islamic Reconstruction???? Quaid created an Islamic reconstruction and policy making department to make a secular state ???? What non-sense those secular speak. The department was headed by German revert Muslim Muhammad Asad, (formerly Leopold Weiss), who had delivered major policy speeches on the future of Islamic government in Pakistan, confirming without doubt that Quaid had the vision of a Pan Islamic state, "Premier Islamic state" as he called it. We shall be posting those speeches here as well for all to see the vision our founding fathers had. It was on the basis of this department and its research that Objectives Resolution was passed 2 years later in 1949 by Liaqat Ali Khan. Now when the myth of "secular Jinnah" has been comprehensively busted, it is our duty to give a final shut up call to the seculars! know this lost piece of history and never ever forget this.